Brits travelling between Dubai and Jeddah will soon be able to take advantage of an increased choice of flights from Emirates. From 14 December this year, the Dubai-based airline will respond to constant high customer demand by adding a further four flights per week to the Red Sea port city. In a move that will strengthen Emirates’ ties to The Kingdom of Saudi Arabia, Brits wanting to travel to and from Jeddah will have a choice of three different flights each day. 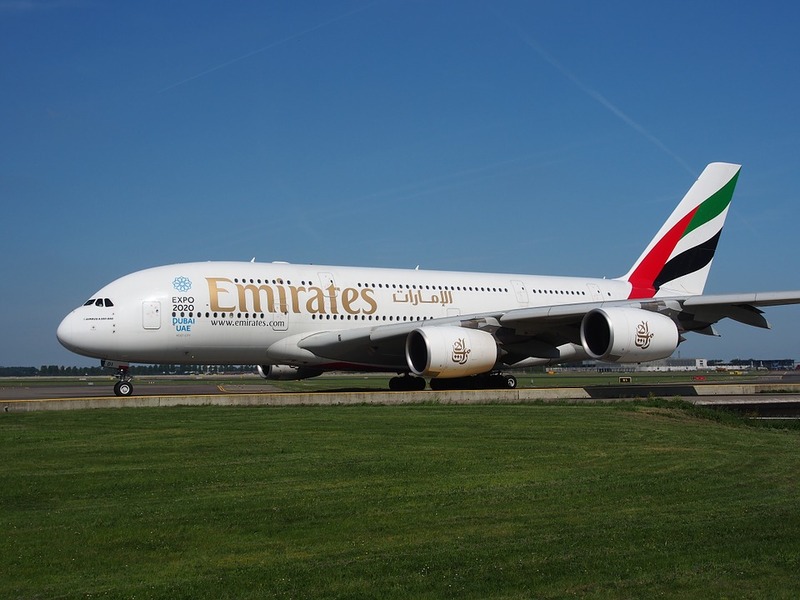 The additional flights will be operated by a three-class A380 aircraft, on Mondays, Tuesdays, Wednesdays, and Saturdays –meaning the total amount of weekly flights from Dubai to Jeddah will increase to 21. Divisional Senior Vice President, Commercial Operations West for Emirates, Sheikh Majid Al Mualla, stated that the increase in flights reflects the importance of Saudi Arabia as a market for the airline. “This is tremendous news for both our business and leisure customers and highlights our commitment to providing travellers in Jeddah with not only the very latest in aircraft innovations but also increased connectivity” he said. Brits flying with Emirates can expect over 2,000 channels of in-flight entertainment, Wi-Fi access and meals prepared by gourmet chefs along with high standards of customer service from multi-lingual cabin crew. Passengers flying in Business and First Class cabins will be able to enjoy the facilities of over 35 dedicated worldwide Emirates Lounges and also have additional complimentary chauffeur-driven services when travelling to and from the airport. There are also bumper luggage allowances across all three cabin classes of 30kg in Economy, 40kg in Business Class and 50kg in First Class. Thanks to the extra services to Jeddah, from 14 December Emirates will operate 67 flights each week in The Kingdom of Saudi Arabia via the gateways of Jeddah, Riyadh, Dammam and Al Medinah al Munawarah. An increase from the current 63 flights per week, all will be non-stop to the industry leading Terminal 3 at Dubai and then on to a choice of 149 destinations in the airlines network. If you're thinking of travelling to The Kingdom this year, don't forget your worldwide travel insurance in advance.